The Show and Share slips for the last two months got shuffled together, so forgive us for combining them into one summary post. It still means you can find the patterns and yarn details for all those lovely things you saw at Yarn Club, so I’m calling this a win. 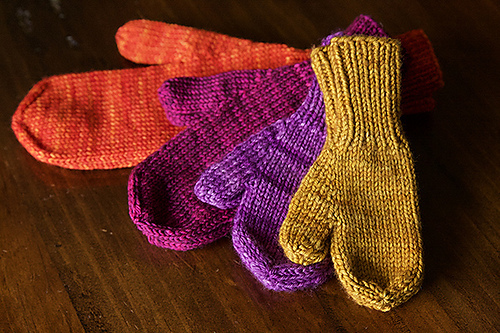 Catherine shared some challenges she encountered while using up yarn scraps to make a pair of mittens. Something didn’t sound quite right about a mitten that is only 5″ long, but it works for her as she has very dainty hands. 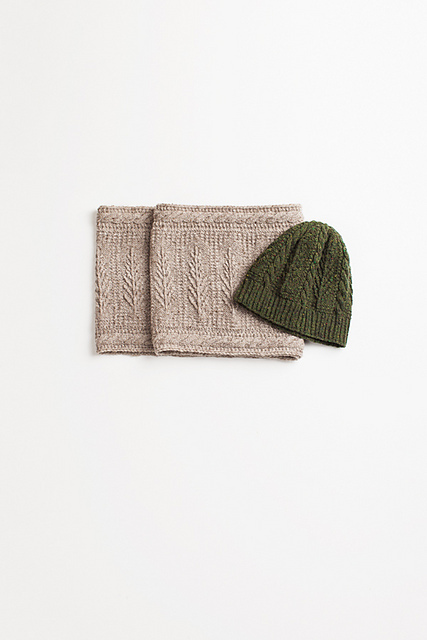 The pattern is The World’s Simplest Mittens by Tin Can Knits. 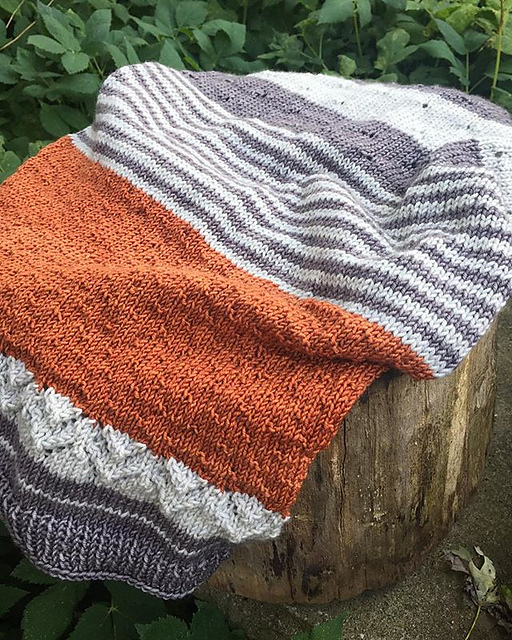 Roxanne shared another one of her designs for a shawl, this one featuring Georgian Bay Fibres in the “Henrietta’s Pie” colourway. 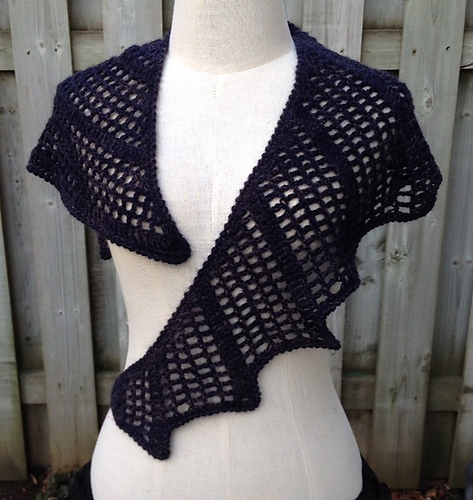 Liz brought in her Emma Version C by Julie Weisenberger, knit in Estelle Yarns Big Alpaca Bulky. Love that pop of colour from the pocket! 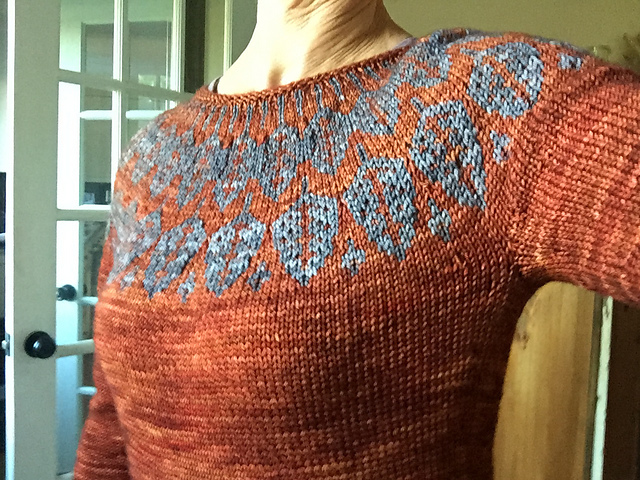 Arboreal by Jennifer Steingass, knit in Madeline Tosh DK Twist in Saffron and Dr. Zhivago S Sky. 3 Colour Cashmere Cowl by Joji Locatelli, knit in The Plucky Knitter Primo Sport, in Flannel, Wintry Mix, and Lincoln. 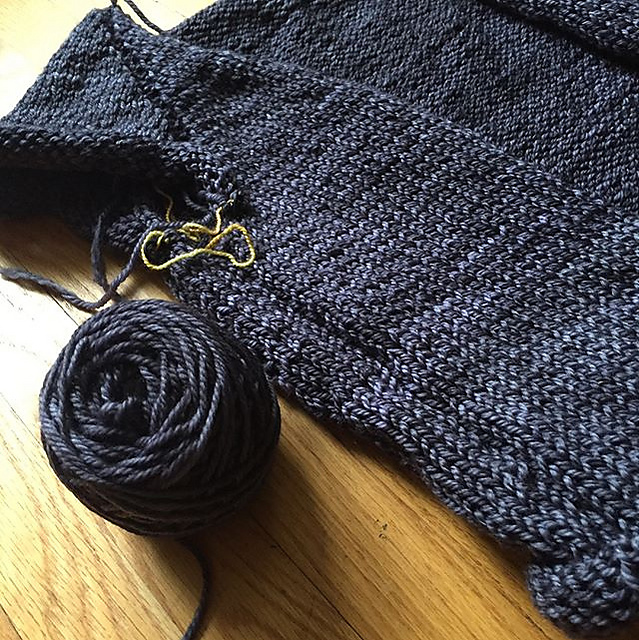 Rolling in the Deep, a test knit for SweaterFreak Knits. Knit in The Plucky Knitter Plucky Rustic in Lonesome Highway. 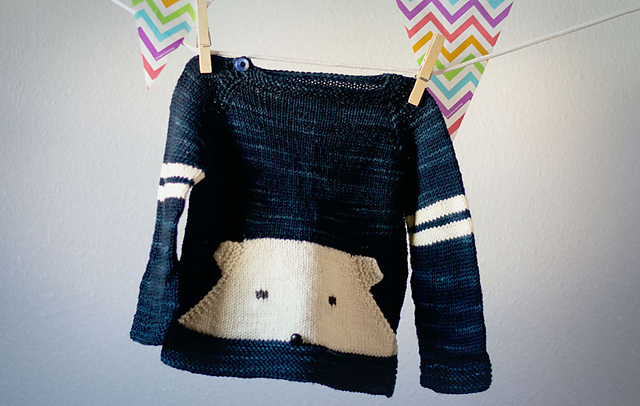 If memory serves me right, this was a beautiful reversible cardigan. Everglade by Wooly Wormhead, knit in Loop Alpaca Tweed (Loop London). 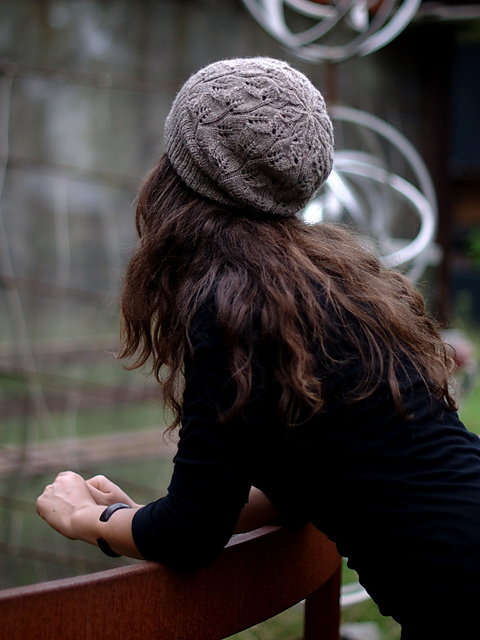 Great slouchy hat, with a nice long brim that can be work folded up for a toque-style hat. Bough Set by Leila Raabe, knit in Berroco Vintage DK, with a matching pair of mittens I made using the chart from the Bough hat, following the general pattern and shaping from the Druid Mittens by Jared Flood. And while I didn’t share it at the December meeting because I hadn’t even started it yet, I have since finished a lovely little knitted dress/tunic for my baby neice. 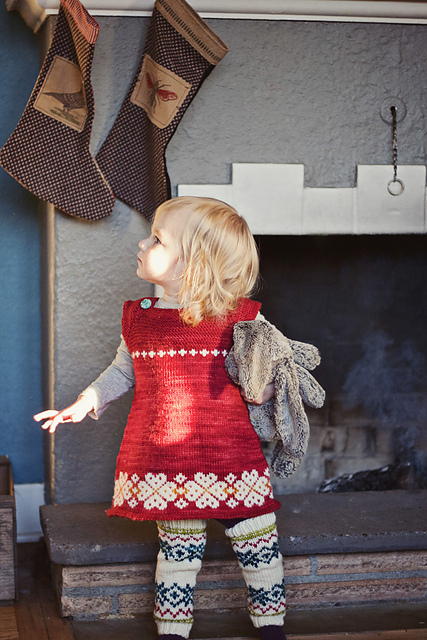 The pattern is Anikka by Vivian Aubrey, and I knit my version in Berroco Vintage. P.S. I made the sweet little baby legwarmers too. 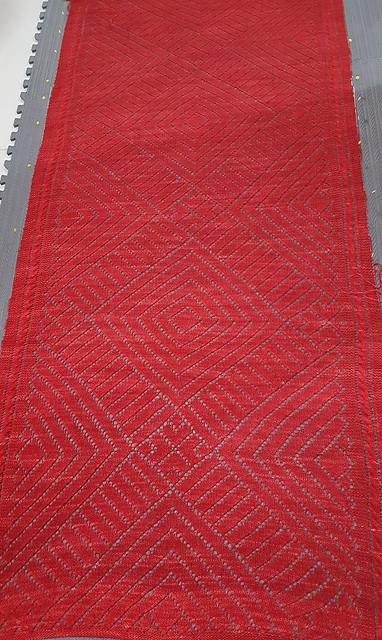 This entry was posted in knitting, yarn club and tagged crochet, fibre, knitting, patterns, ravelry, resources, show & share, yarn club. Bookmark the permalink. Follow any comments here with the RSS feed for this post. Post a comment or leave a trackback: Trackback URL.